The summer holiday break is the ideal time in the school year to carry out the statutory Electrical Compliance Testing. For most schools, colleges and educational establishments being able to schedule this essential work to be carried out whilst ‘schools out for summer’ is a fundamental requirement of the maintenance and facilities management team. Although the Periodic Electrical Test and Inspection (Electrical Installation Condition Report – EICR), PAT or Portable Appliance Testing and Emergency Lighting Tests can be carried out at any time, the advantages and merits of a test strategy which coincides with a time when most staff and the majority of pupils are off the premises is self-evident. The NUT (National Union of Teachers) has published a Health and Safety Briefing document on Electrical Safety. This briefing sets out NUT guidance on the law and practical advice on safety precautions necessary to ensure electrical safety in school. It is produced in consultation with the Health and Safety Executive (HSE), the Association for Science Education (ASE) and CLEAPS Schools Science Service. All electrical installations deteriorate with age and use over a period of time. It is therefore imperative to ensure the safety of users and equipment to reduce the risk of personal injury or fire. 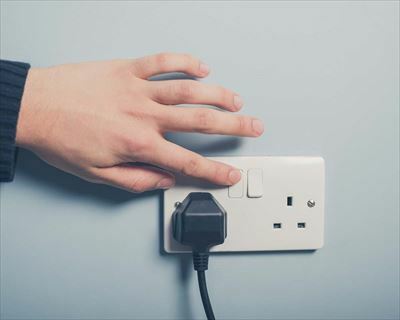 Annually there are over 3,000 electrical accidents or incidents reported to the HSE proving that faulty electrical installations present a real danger. That is why insurance companies can request evidence that the installation has been adequately inspected before assuming cover for a building. Until recently the Local Authorities took responsibility for compliance with the Electricity at Work Regulations (EAWR 1989) but now with the growing number of Academies and Multi Academy Trusts the responsibility for this emerging sector now lies with the school maintenance staff and management teams to both organise and budget for this essential work themselves. The Periodic Inspection could seem like a hefty bill in the year that it becomes due but there are ways of both spreading the cost and using other testing technology namely Thermal Imaging to lessen the load. It is vital to understand that Fixed Wire Testing is only part of the electrical safety compliance requirement. Once the electrical safety test has been completed the resultant remedial repairs must be carried out. If there are any faults found during the test they are identified in the EICR and given codes C1, C2, or C3. If a C1 or C2 code is given it would mean the installation is in an unsatisfactory condition. Code C3 faults are an improvement recommended. The risk exists that an accident or incident occurs after the FWT has identified a fault but before the necessary action to remedy that fault has taken place. In the event that essential remedial work is not completed following FWT then the organisation could be culpable of fault and negligence. It is also likely that insurance for the premises would be compromised and if the worst should happen then the Duty Holder could be proven to be liable. Essential remedial work must be completed within a time frame appropriate to the coding of the identified fault or faults. In the case of Code 1 faults this means urgently. To assist in the detection and planned maintenance of any electrical system we can use Thermal Imaging or thermography. By reviewing thermal images of electrical systems under load equipment health and decisions to repair or replace become more effective, overall costs are reduced and the reliability and useful life of the equipment is increased.